Using Existing Documents in Versal It’s easy to use your existing training materials in Versal. In this video, I’ll show you how simple it is to add a Google spreadsheet, a Microsoft Powerpoint, and a PDF to your Versal lesson. Create An Empathy Training Course With Versal Empathy is a tough concept to teach. You need to observe human behavior and then interpret it. How do you teach that with only text and images? And how do you determine if your learners are grasping the concepts? Embed Google Folders In Versal A quick tutorial on how to use a simple embed code to embed and entire Google Drive folder directly into your Versal lesson. This is a quick and easy way to share additional documents with your learners directly from your Versal course. Versal Quick Start Guide 2018 Here’s a quick look at how easy it is get started creating interactive eLearning content on Versal. JoomlaLMS 2.0- Introducing JoomlaLMS 2.0 This JoomlaLMS 2.0. video introduces JoomlaLMs 2.0. After a long process of redesign and redevelopment we couldn’t be more excited to introduce JoomlaLMS 2.0! Mobile adaptiveness, modern layout, course builder, GoToMeeting integration, Joomla! 3.4 compliance and much more! JoomlaLMS 2.0. 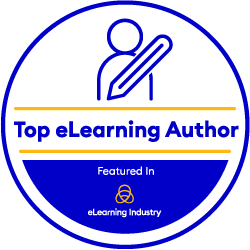 – How To Create An ELearning Course This JoomlaLMS 2.0. video explains the course creation process with the help of the course builder. JoomlaLMS Beyond the Basics– Advanced Options of JoomlaLMS Beyond the Basics session builds upon the options introduced in the Study JoomlaLMS Principles webinar. During the question and answer session you are welcome to enter questions in the chat or ask in person and you will get an answer and necessary clarifications from JoomlaLMS support team.